Posted July 20, 2017 by admin & filed under Garden Maintenance. Posted June 22, 2017 by admin & filed under Uncategorized. You know the type – the one that sneaks up out of nowhere, starts throwing their weight around, too tough to take in hand and then casts a shadow on everything, yes we’re talking about Japanese Knotweed. The ecological bully, Japanese Knotweed lies in wait underground over the winter months, then as summer approaches and gardeners await the colours of the season it springs up, laying its tough roots across flower beds, gardens and even bursting through paving, walls and floorboards if left to spread. This weed is a serious tough cookie, in fact Japanese Knotweed is so difficult to control it is included in anti-social behaviour laws. If nature dealt out anti-social behaviour orders this weed would be subject to some serious banning orders. As it is lawmakers have taken steps to protect property owners from the reaches of Japanese Knotweed’s grasping roots. Owing to its potential to damage buildings and kill native plants, environmental authorities have the right to access property where owners have failed to tackle a Japanese Knotweed outbreak – they can also face a fine if they fail to adhere to an order to control the weed. Why is Japanese Knotweed such a problem? What can be done to tackle Japanese Knotweed? In case you are panicking, it is not illegal to grow Japanese Knotweed. Gardeners must, however, take responsibility for keeping it under control. To do this, gardeners need to display great vigilance. In the event of discovering Japanese Knotweed on your property the most sensible course of action is to call in professional gardening and weed-killing specialists, such as Gardenbusters. Outbreaks of Japanese Knotweed can be treated with chemical weedkillers, to ensure the plant does not return this may require repeat treatments. Japanese Knotweed can also be physically removed, but with roots stretching as far down as three metres and covering wide areas this is no easy task. In both instances, treatment with either herbicides or physical removal, it is important that no part of the plant remains in the area and that parts of the plant do not splinter off as the smallest piece of Japanese Knotweed can take root to spark another outbreak. Specialists may also recommend stem injection, burning or burying the weed. Whatever method is used, the plant must be disposed of according to strict regulations to prevent further spread of Japanese Knotweed. Don’t let this ant-social menace affect your property, take Japanese Knotweed in hand by calling in the experts today – contact Gardenbusters for a free quote. Posted March 27, 2017 by admin & filed under Latest News. Posted March 6, 2017 by admin & filed under Garden Maintenance. Who says that your garden needs to have complex features to look attractive? If you want to reduce your time spent on maintenance, go for a minimal look. 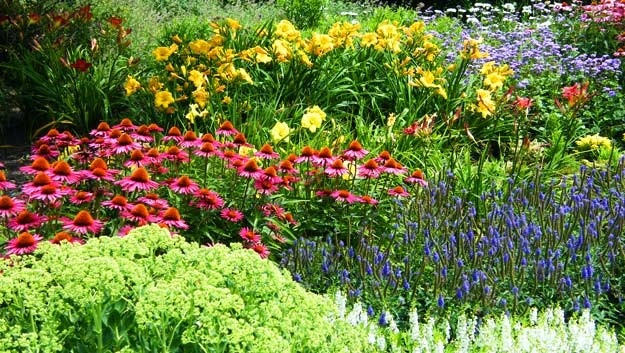 For instance, avoid high maintenance ponds or planting many different kinds of flowers and plants. 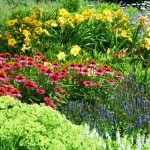 Keep things simple and plant hardy perennials which will come back every year, without too much effort on your behalf. While we are talking about plants, it’s worth mentioning that there are some that don’t really need much care and attention to flourish. Primrose, lavender, rosemary, and periwinkle are some great plants like this that you can grow in sunny areas of the garden. For areas that are mostly covered in shade, you can use ferns, euphorbia, snowdrops and hellebore. Mulching is a must because it enables you to keep the ideal level of moisture in the soil which ultimately means that you don’t have to water your garden so frequently. In addition, mulching prevents the appearance of weeds. Your garden soil, or its health and texture to be more precise, will benefit from mulching too. If you want to reduce watering time, you can always install an automated watering system. Just set the time when you want your garden to be watered and that’s all you need to do. It’s also a smart move to reduce the number of containers and increase the number of plants grown on beddings. The reason is simple – container plants are very needy – they need more watering, more fertilisers and repotting. Bedding plants don’t. For more low maintenance ideas, please get in touch. Posted February 7, 2017 by admin & filed under Garden Maintenance, Latest News. 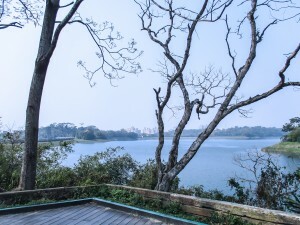 Trees, just like any other plant, can experience problems. If you have trees in your garden, then it’s a good idea to inspect them from time to see if it’s in good condition. In this article, we take a look at three of the most common problems with trees in the UK (and around the world). 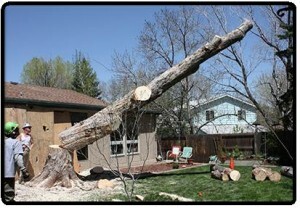 This is a common perennial issue which requires removal of both the tree and the stump. The good news is that you won’t have to remove the surrounding plants because it is very likely that they will remain unaffected. This specific fungus gets inside the tree through wounds. In most cases, it causes problems in trees that are highly susceptible. If you want to find out whether your tree has this disease, check a part of the root by removing the bark carefully. If you notice a white creamy sheet of mycelium and you smell a scent that reminds you of mushrooms above the woody tissues and right under the bark, then your tree is affected by honey fungus. There are some trees that don’t experience honey fungus issues including cercis, catalpas, beeches and oaks. If you notice darkening foliage and dieback in your coniferous hedge or leylandii, it is probably experiencing an aphid attack. It is not recommended to cut parts of the tree. In most cases, cut hedges lead to a worse situation than the ones treated to a single cut. This issue is typical for the summer period, especially when it comes to catalpas, maples, and oaks. There are many different reasons why powdery mildew occurs and some of these reasons are closely related to specific plants. However, the most common causes of this problem are inadequate air circulation and dryness especially at the roots of the tree. Staying away from feeds rich in nitrogen and mulching should solve the issue. 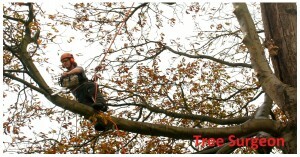 If the trees in your garden are suffering with problems and you’re not sure what the issue is, then please get in touch. We would be happy to help. Posted January 5, 2017 by admin & filed under Garden Maintenance. Wet, cold and windy weather can cause significant damage to shrubs, trees and different garden structures like a trellis for example. By enhancing shelter, mulching, staking plants, re-arranging plants, you should be able to keep your plants and garden safe. Many people use protective coverings to keep their plants safe. These coverings are perfect for sheltered areas. However, in very cold and open areas, even the strongest plants will probably need further protection to avoid damage. Pot plants and evergreen plants belong to the risk category, so take special care of these plants during winter. You should use protective coverings and wrappings when you notice the first frosts. You should also start changing your cultivation practices from late summer in order to prepare the plants for these changes. This protection with the help of cultivation includes many different practices. First of all, homeowners must avoid the use of fertilisers packed with nitrogen during autumn and winter. Next, they should also cover the soil. Greater soil exposure can lead to leaching of important nutrients. As we have already mentioned, plants can be kept safe from low temperatures by wrapping. There is special horticultural fleece for this purpose. It’s also a good idea to shelter the plant in a protected spot. Of course, there are other measures that every garden enthusiast can use. For example, prior to the beginning of winter, you can inspect the structures in the garden and reattach or replace damaged or loose roofs, panels, fences and posts. There are some great solid fences on the market that can protect against the wind. You can also use windbreaks which are perfect for windy and cold spots. If you are looking for a temporary solution you can also use netting or woven hurdles. For more advice about protecting your garden this winter, please contact us now. Posted November 11, 2016 by admin & filed under Garden Maintenance, Latest News. When winter kicks in, people tend to hunker down and remain in their homes more. However, this doesn’t mean that you should forget about your garden in the winter months because your garden needs maintenance throughout the seasons. Your garden may not look as attractive as it looks in summer, but you can still make it look interesting and prepared for spring. Here are a few winter jobs you should take care of. If you have a pond then, first of all, remove the fallen weeds and leaves from the pond and cut the shrubs close to it. This is how you will provide access to the sun to the flora found in the pond. If you want to prevent the water from freezing, use a water pump, heater or simple polystyrene foam floats designed for ponds. This is the period of the year when preparation for a new lawn should begin. If you are digging, leave a fair amount of soil clumps. If the grass is frozen in some areas don’t walk over those areas. Unfortunately, the winter months and cold weather don’t prevent the growth of weeds, so be careful and remove any signs of weeds. Of course, the area should be cleared of leaves, branches, and other similar debris as well. Before you store the lawnmower in the garage or shed, you should perform thorough maintenance including sharpening the blades and servicing the engine. If there is fuel left in it, drain it carefully. The same goes for the garden hoses. They should be drained well because if there is water in them they can freeze and lose their properties. If you are using bamboo canes outside, use soil to wipe them before placing them again. 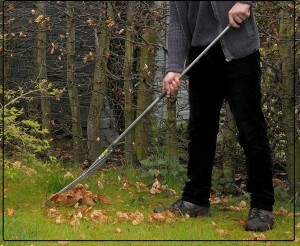 If you are using branch loppers and lawn edgers during the summer period you probably won’t need them in winter so clean them thoroughly, apply some lubricant on them and store them. Although you’ll probably use the forks and spades, don’t leave them outside and keep them stored in a dry place. Posted October 2, 2016 by admin & filed under Garden Maintenance. Autumn is here, and with this season the typical colours of Autumn are settling in our gardens too. For many plants, the autumn season is associated with inactivity, but if you want to add colour to your autumn garden you can always use plants that flower later. 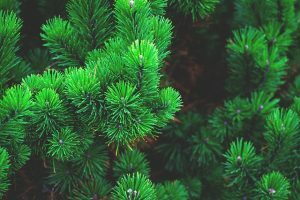 In this article, we will mention some of these plants. This plant that reminds us of a statue usually grows between 140 and 150 cm and has amazing spikes of beautiful blue flowers. The Salvia Blue Enigma will keep giving blooms starting from midsummer till the days when the first frost comes. These beautiful blue flowers that look like periwinkle, become visible in later summer. This is when their leaves start featuring some fantastic shades of red colour. Many people use them close to blue flowers so they can create contrast. Don’t forget that hardy plumbago is sometimes very invasive, so monitor its growth closely. Use a container and grow this plant in a sunny border. Stay away from dahlias that have very tightly squeezed petals. Stick to dahlias with open flowers that provide simple access to pollen. Dahlia Honka has proven to be very attractive to bees and those attractive blooms will appear until the first frosty days. Experts advise growing Honka together with Verbena bonariensis. During the winter period, store this plant in an area protected from frost. When you mention crocuses, people usually think about spring. Howvere, there are crocuses that bloom in autumn too like the Conqueror variety. This plant has amazing blue and violet blooms in the form of a goblet. On top of that, they have a very interesting orange centre. These plants appear in the end of September and gradually start creating colonies. For more advice about maintaining your garden this autumn, please contact us now.